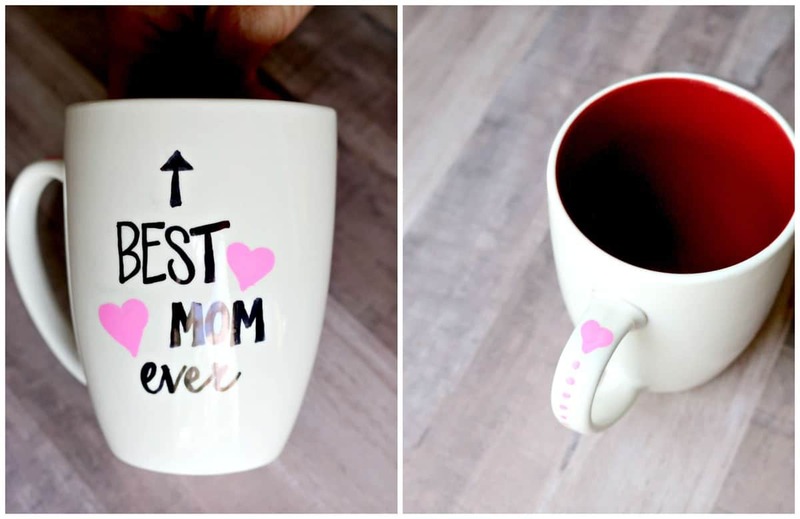 Make Mother’s Day (or Teacher Appreciation Day) a little sweeter with this adorable DIY Sharpie Mug gift idea filled with a delicious, irresistible mug cake. 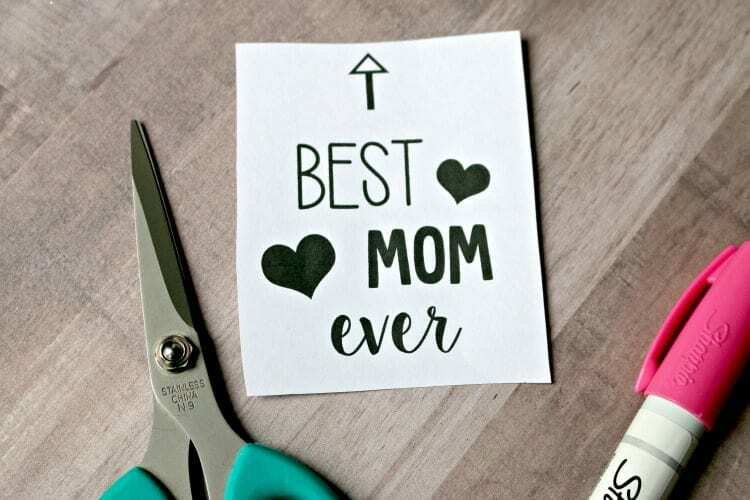 Handmade gifts are the best, especially for Mother’s Day. It’s not about how much you spend, but rather the time and thought that go into the gift. 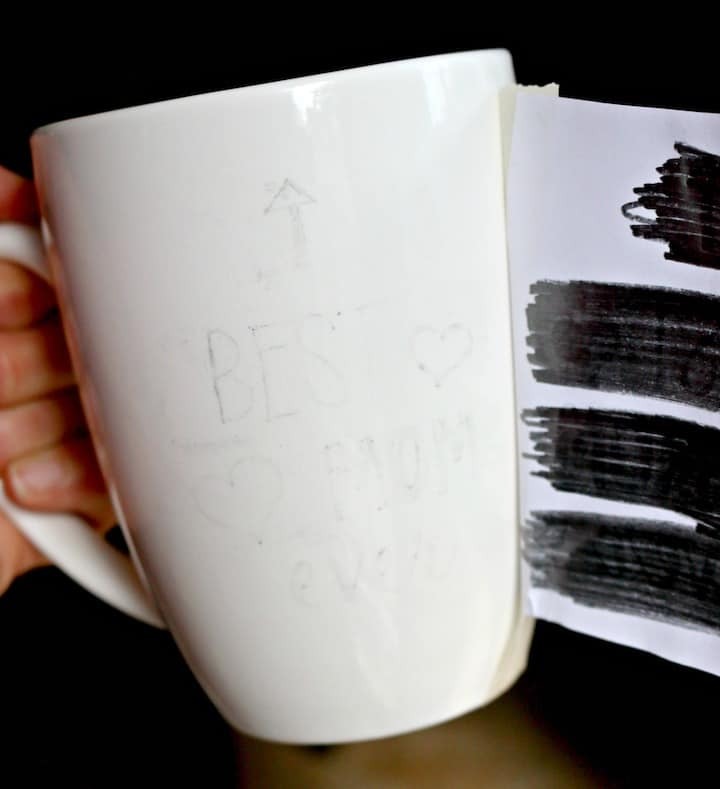 This DIY Sharpie Mug is the PERFECT gift to give this Mother’s Day. It’s actually the perfect gift for any occasion: Father’s Day, Teacher Appreciation or Teacher end of the Year gift, handmade birthday gift, graduation, even a thank you or get well soon gift. Not that an adorable DIY Sharpie Mug isn’t great all on its own, I decided to take things to a whole other level! 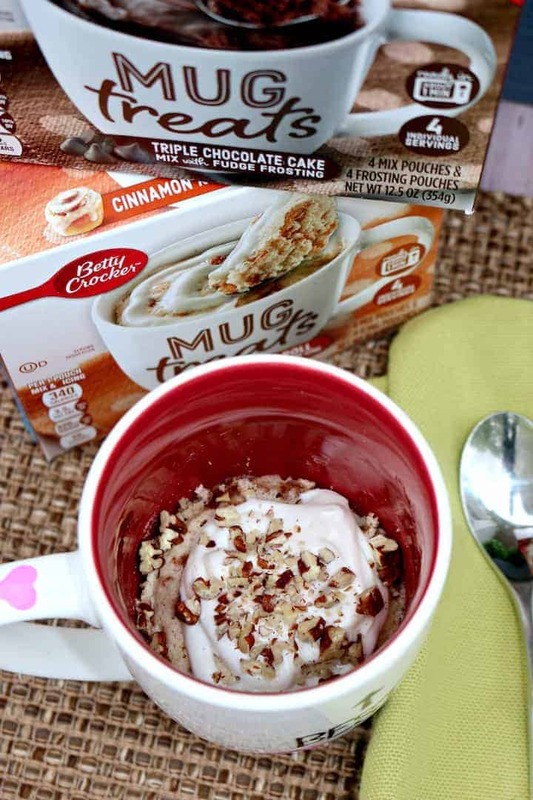 Enter….Betty Crocker Mug Treats. That’s right, mug cakes! 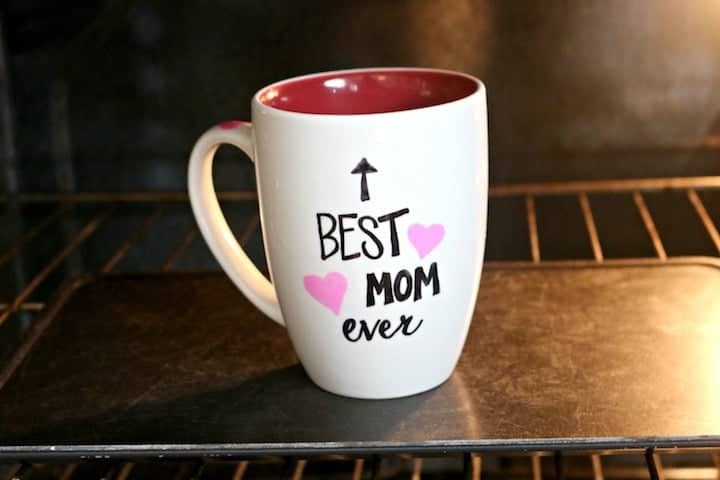 I know a ton of Moms that would love to receive a personalized coffee mug with a delicious cake inside for Mother’s Day. 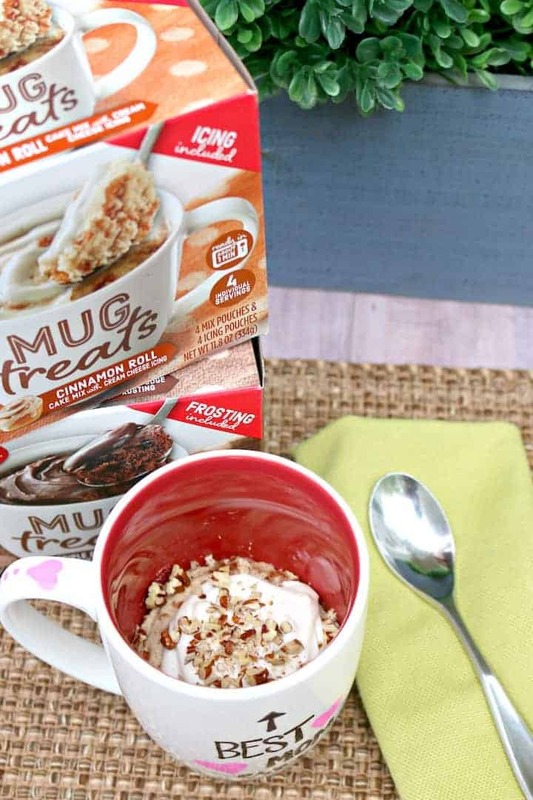 Recipes for mug cakes are nothing new, but what IS new, is how Betty Crocker has made making them even easier. Each box not only contains the mix for the cake, but also includes the creamy icing to drizzle on top; they’ve thought of everything! 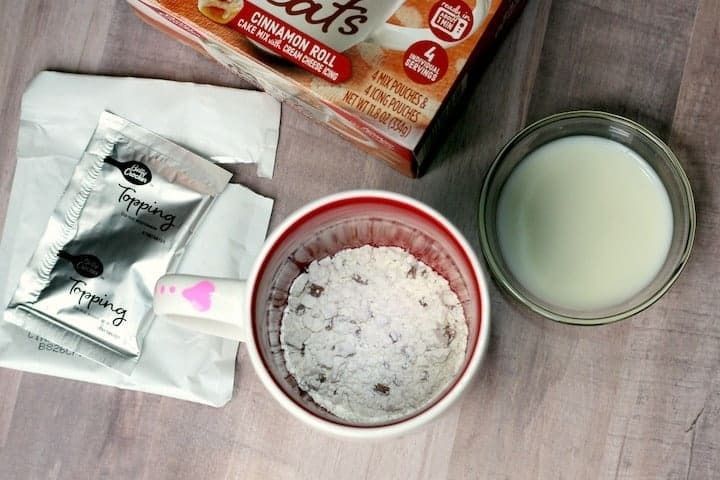 Betty Crocker Mug Treats are that perfect portion of sweetness that puts a smile on your face in an instant – seriously, they are ready in about 1 minute. 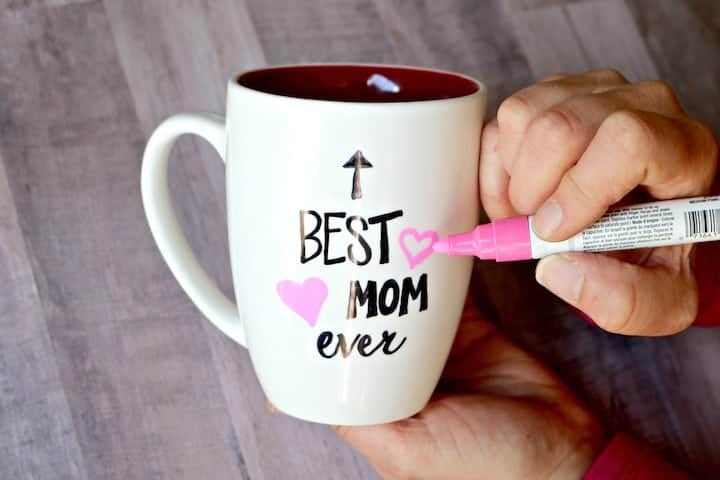 They are a natural fit for our DIY Sharpie Mug gift. Betty Crocker Mug Treats are available in a variety of flavors including the recent additions of Chocolate Chip Cookie, Fudge Brownie, Triple Chocolate Cake, and Cinnamon Roll, so finding the perfect flavor couldn’t be easier. IMPORTANT TIP: You can write on mugs with regular Sharpies, but the marker will wash off, even if baked. 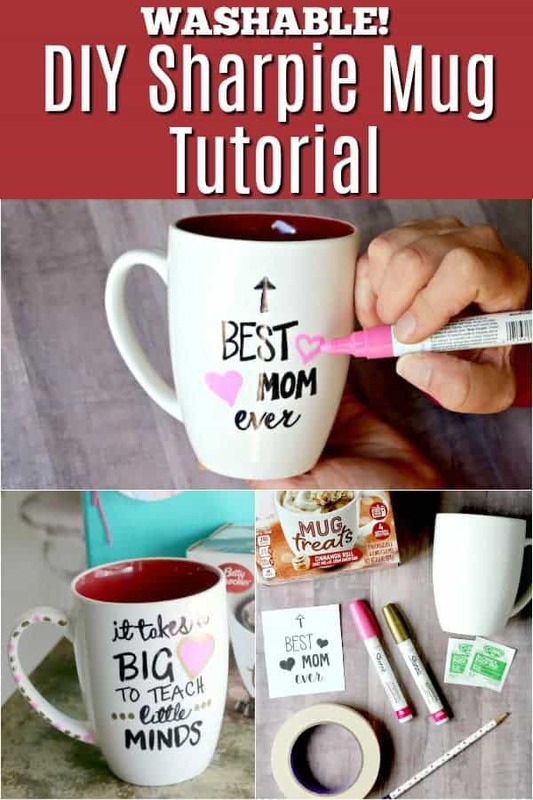 If you want to know how to make the marker stay on the mug, and make it a washable Sharpie Mug, you need to use oil-based markers, and bake your design according to our instructions. Finally, hand washing is recommended. Some people have had success washing on the top rack of the dishwasher; I don’t like to chance it, so I hand wash. STEP 1: Clean sides of coffee mug with rubbing alcohol. Be sure to remember to remove any price stickers, otherwise they will burn during baking. STEP 2: Sketch out your design on paper or print out the mug design template here. Cut around your design, leaving a small border around the edges of your text. STEP 3: Lay the design, text side down and firmly color over the backside of the paper using a graphite pencil. 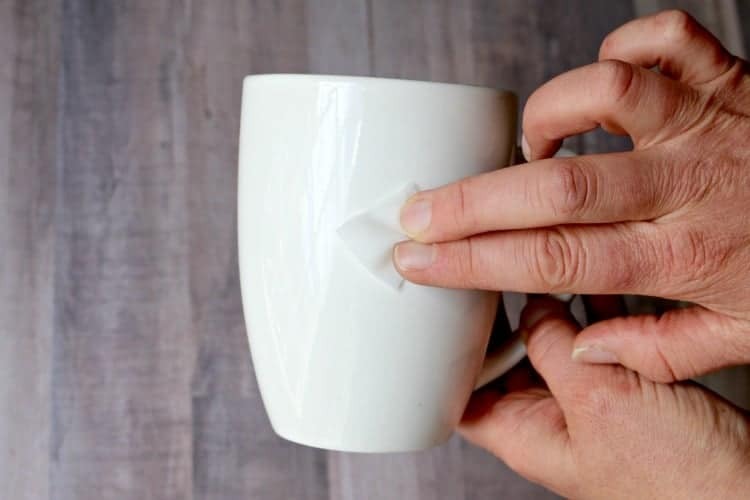 STEP 4: Flip over the design and tape the cutout to the side of your mug. Using the pencil, carefully trace over the text. STEP 5: Carefully peel back the design cutout. You will see a light pencil tracing of your design on the mug. STEP 6: Using an oil-based Sharpie marker, go over the pencil transfer. If you make a mistake, gently wipe off the paint with a damp paper towel. You can certainly freehand your design. 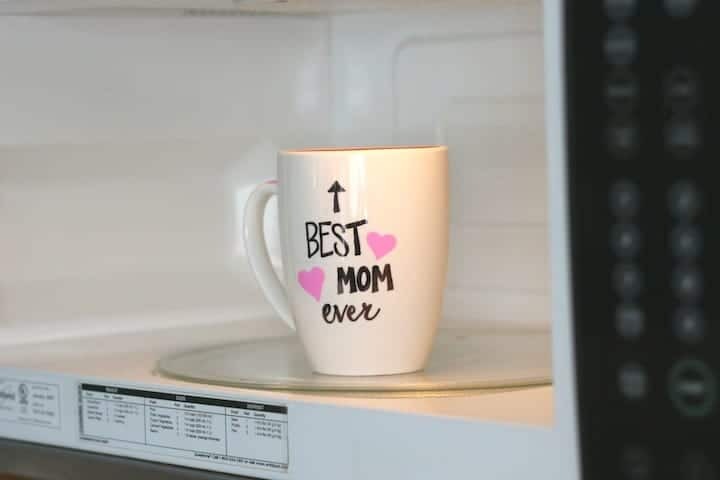 It’s also a fun idea to just let your kids scribble on the mug first and then follow up with an initial or a favorite quote. FOR BEST RESULTS – DRY FOR 24-48 HOURS BEFORE BAKING. STEP 7: Place mug into a cold oven. Turn to 425 degrees and bake for 1 hour. Once hour is up, turn off oven and let mug cool completely inside the oven. Now it’s time to make some cake! All you need is a 9-12 oz mug, 3 Tbsp. of water or milk and about a minute of your time. It’s really that easy. Kids will love helping with this part. 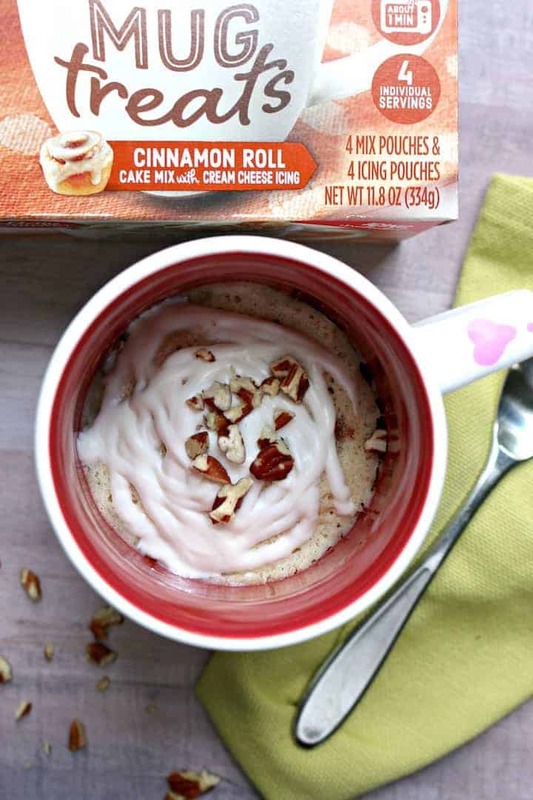 And it’s a good thing there are 4 single serve pouches of cake mix in a box because your kiddos are going to want to make one of their very own. To finish things off, just drizzle the included topping over the cake. Be sure to let the cake sit for a few minutes before eating. And for our gift project, let the cake cool completely before wrapping. 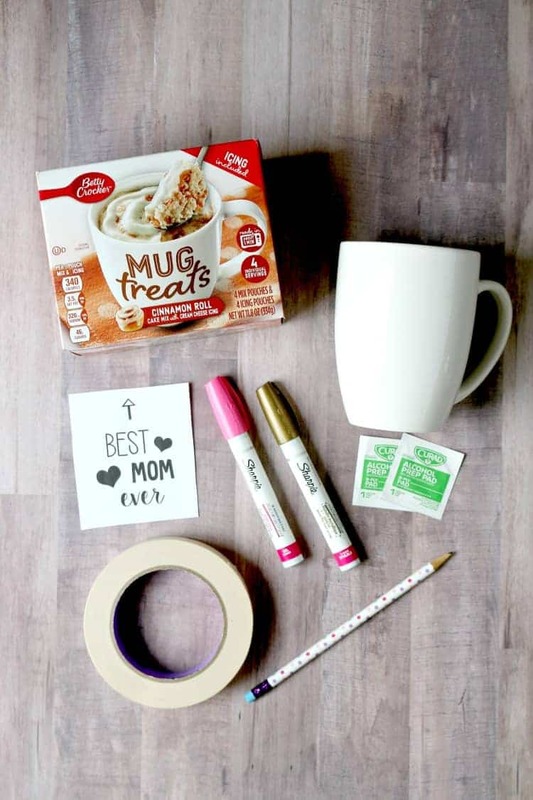 After seeing how adorable this DIY Sharpie Mug with mug cake turned out, I decided to make another one for Teacher Appreciation Day (which will be here before we know it), it is also a great DIY teacher gift for a holiday gift or end of the year gift. I think our teacher will LOVE it – chocolate cake is her favorite! 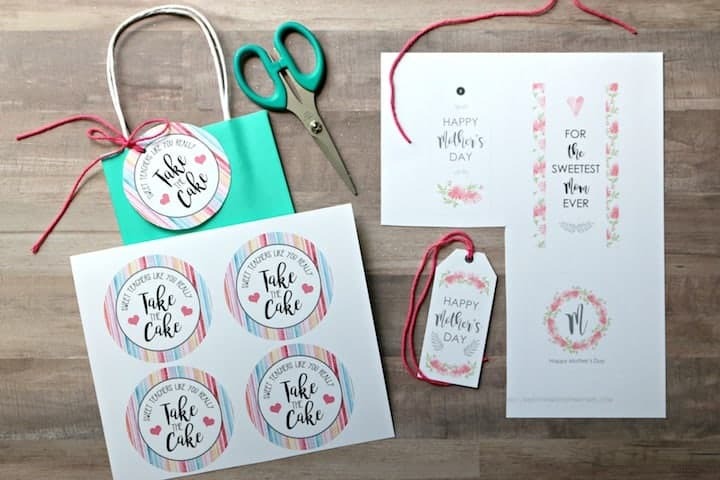 To help finish things off, I’ve included a Mother’s Day gift tag and a Teacher Appreciation gift tag. Click the links to download the free printable tags. 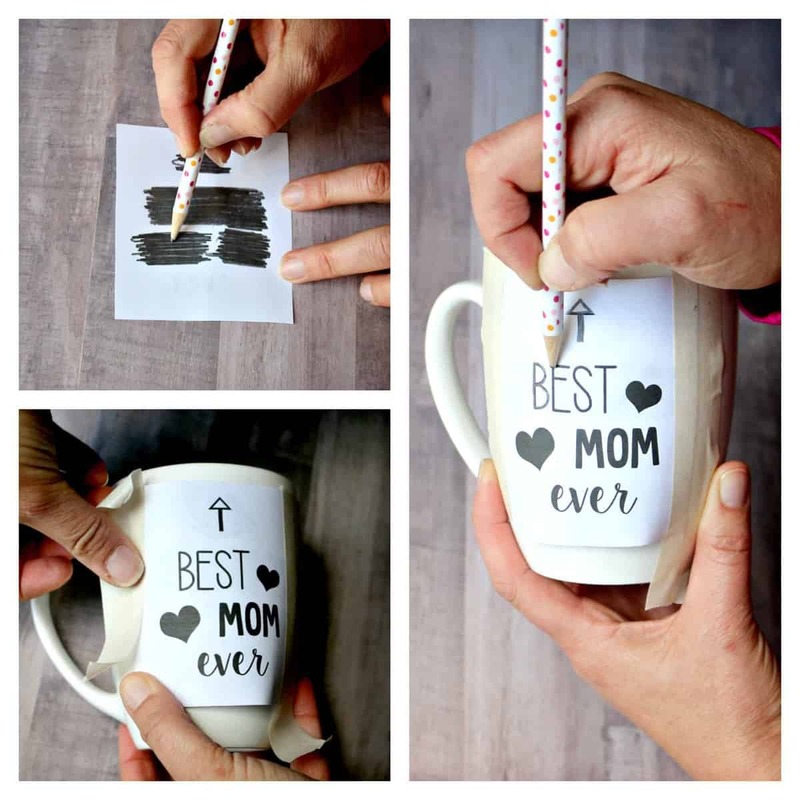 I just love DIY Sharpie Mugs as a gift because they are inexpensive, fun, and a project that kids of any age can make. 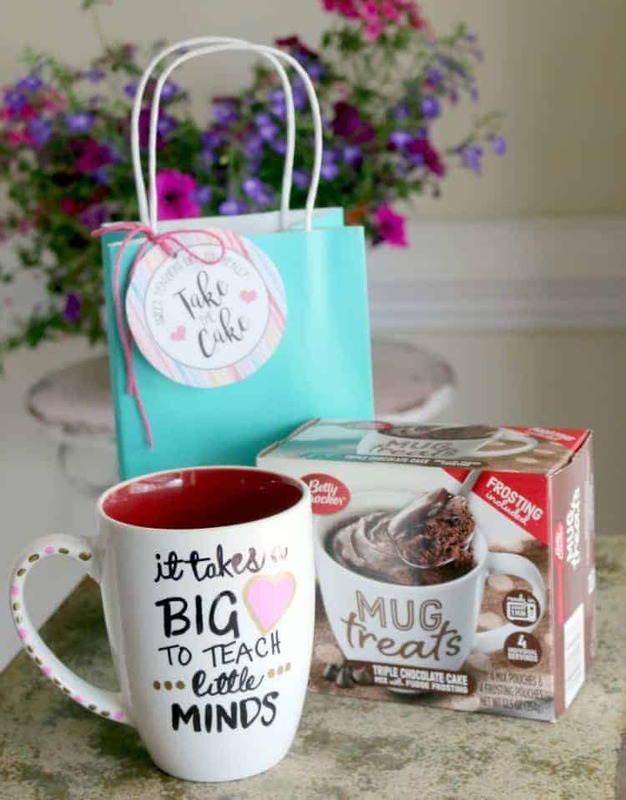 And the addition of the Betty Crocker Mug Treat makes this DIY gift idea even better! OMG this is the cutest idea!! (I need cakes for one in my life)!! 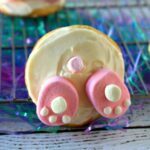 Thank you for such a wonderful idea for my daughter in law who just became a mom and her mother and my sister in law , what a wonderful idea !! Awwww thank you!! Congrats on the new baby!! 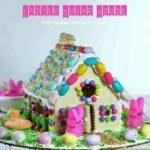 we love making these! i have a whole harry potter set 😀 And yayyyy for the mug cakes! GREAT idea to make Harry Potter versions! My kids are HUGE fans – they would love their own mugs!